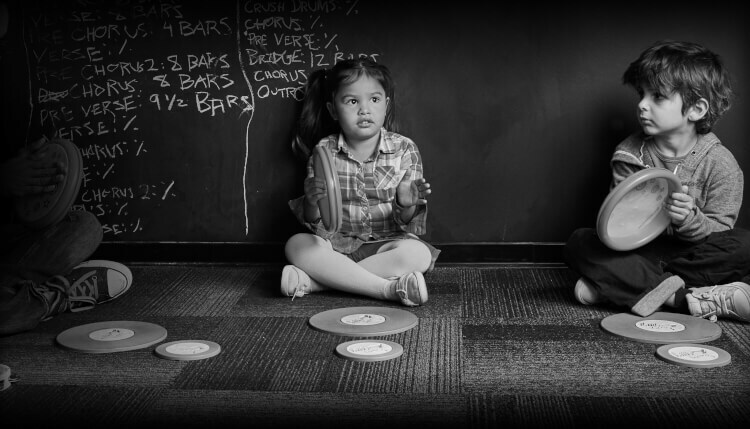 Little Wing is School of Rock's music program designed for our youngest students (mainly 3 to 5-year-olds). This music program for toddlers and preschoolers features a special curriculum where students play games and participate in other interactive activities to help them internalize the foundational skills they will use as their musical abilities grow. Little Wing students have one weekly group lesson in which they use classic rock songs to learn about rhythm, song structure, melody, and dynamics through play. All of our music programs are designed to inspire students to learn and develop a strong musical proficiency. 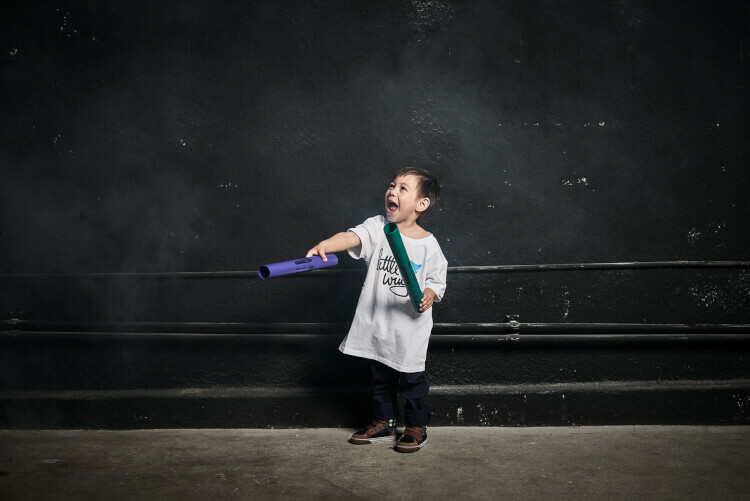 For toddlers and preschoolers, the Little Wing music program is the very first step in a young musician's journey. Children between three and five years old who show an interest in music should start with Little Wing. As they get older, they will progress into the Rookies program, followed by Rock 101 and finally the Performance Program. What's the youngest age you teach at School of Rock? The School of Rock Little Wing music program contains lessons designed for 4- and 5-year-olds, but select schools may also offer music programs for preschoolers as young as 2 or 3 years old. Contact a local school near you for more information about the specific programs they offer for your youngest music student. What will my child learn in each program? 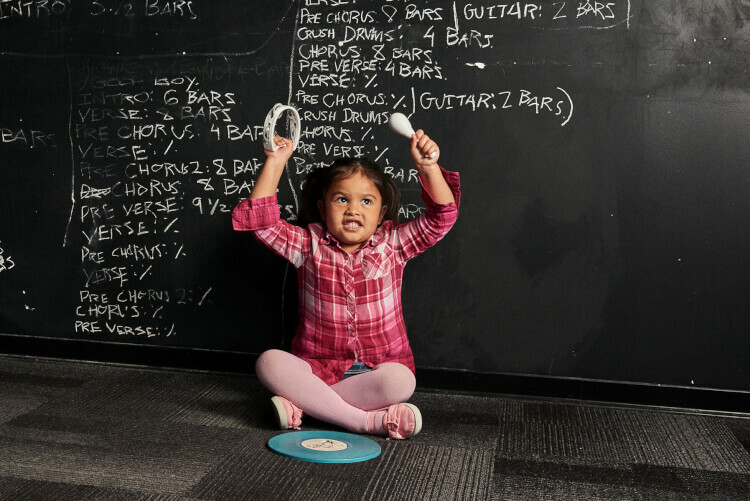 School of Rock's Little Wing music program teaches your toddler or preschooler fundamental music and life skills through unique and engaging musical activities that build teamwork, cooperation, and spark the imagination. In each class, your preschooler will explore making and noticing patterns, singing and tonal processing, short- and long-term musical memory, understanding sound and silence, playing with song structure and dynamics, and improving auditory focus and listening skills. Programs differ by location. Contact your local School of Rock to learn more. When does the School of Rock Little Wing music program meet? The Little Wing music program meets once per week, with group classes lasting about 45 minutes. Does School of Rock offer birthday parties? Yes! School of Rock's Little Wing parties are a great way to celebrate any occasion. Our School of Rock parties are designed to get your kids excited about making music, with fun games that will spark imagination and collaboration. Can't make it to your local School of Rock? No problem. Little Wing parties are designed to be mobile, so let us bring the party to you. Select locations only. Contact your local School of Rock to see if Little Wing birthday parties are something they offer. Can Little Wing visit my child's school? Yes, School of Rock's Little Wing music program is designed to be modular, and can travel to any school, preschool, or classroom within reasonable distance. Check your local School of Rock to learn more about Little Wing near you. How much does the Little Wing music program cost? Our music program for preschoolers includes weekly lessons that will teach your kids basic music concepts with stimulating and interactive games. School of Rock's Little Wing music program availability varies by location, but is typically around $100-$200 per month. Ask your local School of Rock for pricing specifics. 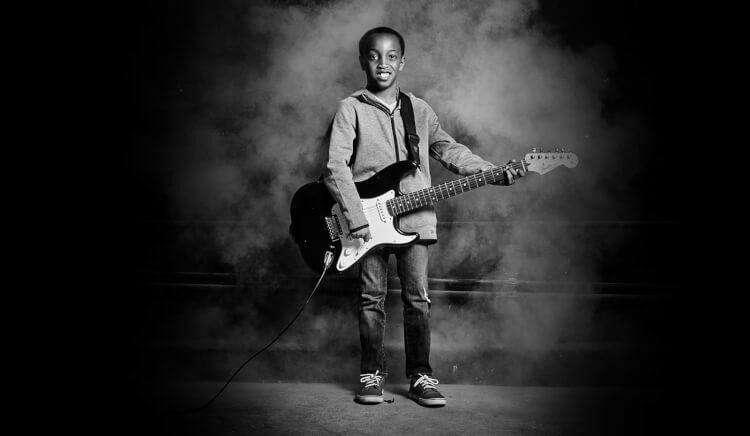 At School of Rock, we offer a variety of music programs, like Little Wing, to accommodate students with various skill levels and different ages. Our lessons continually work to advance our students' skills with the goal of making them incredible musicians. Click to learn more about our specific lesson offerings.